I’m so excited about helping everyone make space that’s wider, brighter and more clear. What I mean by this: the less interference and the less blocks you have, the more you’ll thrive. 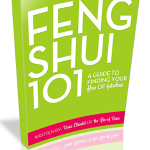 Everything I do in feng shui is very practical: we shift the inside and the outside. You change your energy (on the inside) and you take action (in everyday life on the outside) and the synergy is super-spectacular! Making space is the step before all big changes on the inside and outside. Cleaning house, clearing energy patterns: creating more clarity makes the actions you take far more pointed and meaningful. That clarity makes the the difference between targeting a problem directly and treating symptoms of a problem to find relief. The more clarity you have, the more you can get to the heart of things and make big breakthroughs! 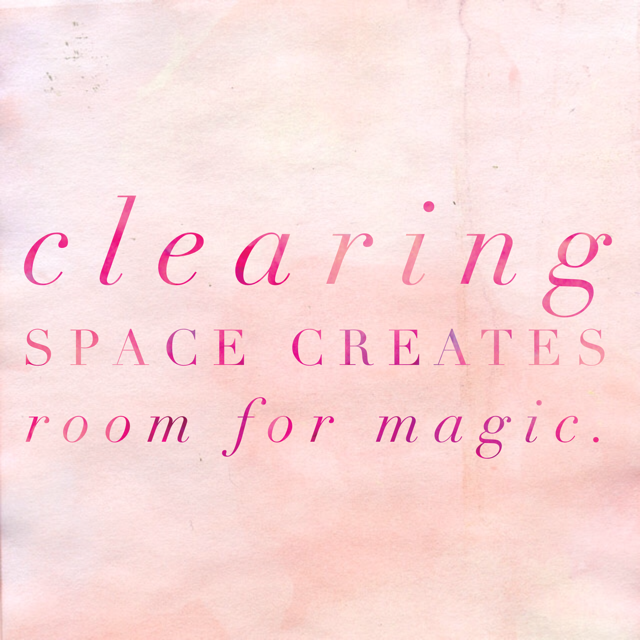 Let’s get into some space clearing today on a much more subtle and powerful level than ever before. Simple clearing: If you’re looking to do some great big freedom-making, less in your space is typically best so always dump the clutter. I have some books staring at me to be removed today from the shelves and donated; they’re taking up space and they’re creating a bit of a haze where I can be so much more clear. Do something easy like taking out the trash and your space is instantly more clear. You know, clutter is a magnet for bad vibes. That’s a given. Even if it’s hard to clear, you can do it! Smudging: You’ve likely heard about burning sage, and how it can clear the space of lingering stagnant energy, stress and those bad vibes you can’t quite shake. So, yes, a bundle of white sage burned is always fantastic, with all the windows open. But… there’s much more you can do to pull the bad juju out of a space in gorgeous & clever ways! Stagnant water clearing: You can add a few drops of palo santo oil to your toilet (where water is stagnant) and/or gently crumble a tiny bit of your sage wand, just a sprinkle of sage flakes, in the water and close the lid. In this way, the stagnant water will become a magnet to pull negative energy out of the space rather than just collecting stagnant energy. 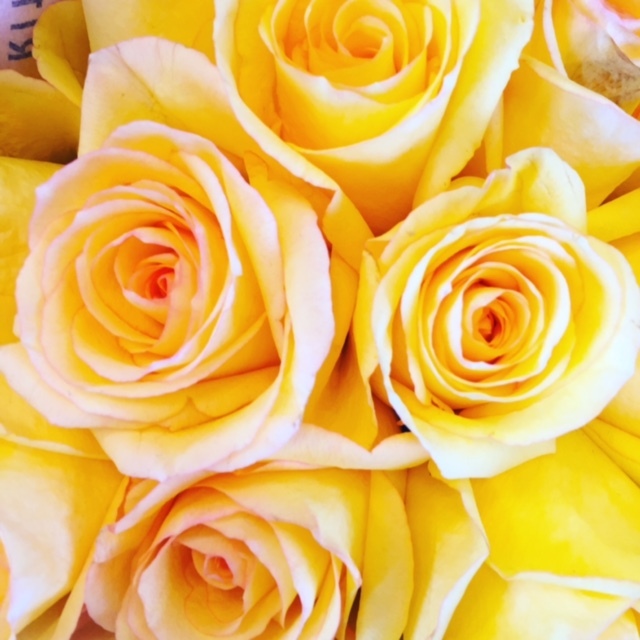 Floral awesomeness: Yellow flowers are the best for sun shining golden energy. Roses or Sunflowers are my favorites. 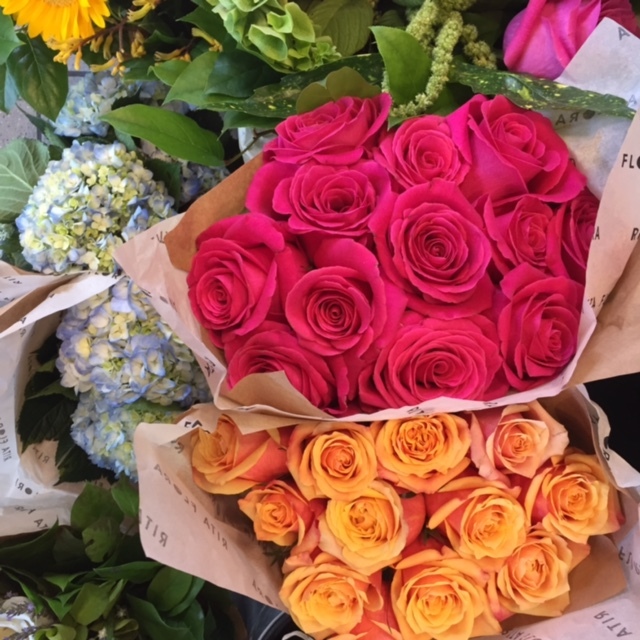 Multicolored flowers can actual enhance the streams and flow of positive vibes in your home! A magnetic bowl of negative vibe clearing: Where things feel really murky or depressed in your home, try a bowl of water filled with a cup of Epsom salt and a few drops of a clearing essential oil like sandalwood or frankincense left in the space to collect negative juju like an air freshener would! Just this morning, I heard this described in a really cool way on a call with Christel Hughes: epsom salt, water, 9 drops of palo santo essential oil OR if you don’t have essential oil, chopped up lemons and a bit of a crumbled sage wand can sub in for the essential oil. When I make these I only leave them for a day or so and then I pour them down a drain with gratitude. You can feel when you’ve got more clarity. And… you can feel when you’ve got blocks or you’re stuck or limited in some way. Clear it all out & soar!!! Previous post: The Wild Power Of Trading In Super-Busy For Super-Productive! Next post: Use A Clearing Bath To Pull Negative Energy Out Of Your Life!